The West Fork Trail is in rural Marion and Harrison County, WV and features 3 bridges. The bridge in Everson is 510 ft, and the Monongah Bridge is 200 Ft long. There is access to the river and various beaches throughout the trail. 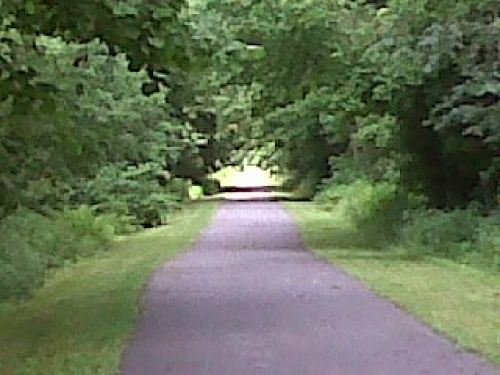 Location: The rail trail runs between the communities of Fairmont, Monongah, Everson, Worthington, and Hutchinson, West Virginia. Fairmont Trailhead: From I-79 exit 132 traveling south turn right on Rt. 250. Traveling north turn left on Rt. 250 3.3 miles to the intersection of Country Club Road, turn left at light. Approximately one mile on Country Club Road take left on Edgeway Dr. 4/10 mile trailhead at end of Edgeway Dr.
Monongah Trailhead: From Fairmont Trailhead continue on Country Club Road past Edgeway St. 1/10 of a mile to Rt. 19 Turn left at intersection. After 3 miles Rt. 19 enters Monongah. 3.5 miles. Turn left at the Monongah Middle School on county Road. 56. ½ mile to trail-head turn left towards Consol headquarters and trailhead on right. Everson Trailhead: From Monongah trailhead. Turn right on County Rd. 56. .5 mile to intersection of Rt. 19 turn left. 1.5 miles to County Rd. 27. Turn left travel .5 mile to Everson Bridge and trailhead is on right past bridge. Worthington Trailhead: From Everson Trailhead take a left on County Rd. 27 .5 mile to RT. 19. 1.2 miles to Worthington. Left turn on Meadowridge Rd. 1/10 mile across bridge to Worthington Park and the Trailhead. Hutchinson Trailhead: From Worthington Trailhead cross West Fork River take a left on Rt. 19. 8/10 mile take left across one-lane bridge to Hutchinson . 2/10 mile to Hutchinson Park and trailhead on left. Enterprise Trailhead: From Hutchinson Trailhead- 2/10 mile to cross Hutchinson Bridge. Take left on Rt. 19. 1.6 miles to Enterprise Rd. left on Enterprise Rd. go 2/10 mile across bridge take a right and another quick right puts you under the Enterprise Bridge at the trailhead. Shinnston Trailhead: From Enterprise Bridge turn left on Rt. 19. Go 2.6 miles to Shinnston Bridge. Cross bridge turn right on Rt. 19 through downtown Shinnston 8/10 mile to the Sue Anne Miller trailhead on right. In 1860, the B & O Railroad Company acquired the corridor and developed it into a train track by 1890. In July 1995 the Marion County Parks and Recreation Commission (MCPARC) acquired the track area between Shinnston and Fairmont. Work began during the winter of 1995 and included ballast removal, drainage, and excavation. During the spring of 1997, the trail was graded and rolled, bridges were decked, and signage was added. The trail opened in 1997 while improvements were still being made. There are improvements constantly being made to this day. In 1999 the Marion County Commission added the name Ralph S. Larue to the trail in honor of the MCPARC director responsible for the development. The trail features three bridges and passes through several coal communities, such as Monongah, which is the site of the December 6, 1907, mine disaster. 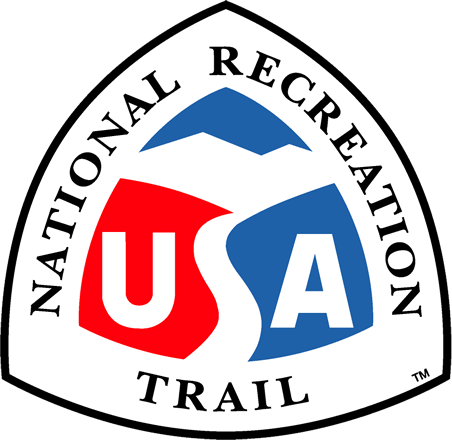 The trail also passes through Worthington and Hutchinson parks that have several recreational activities. The West Fork River is popular for fishing and boating. The trail has many historical features. It passes by old coke ovens near enterprise, mine works near Everson, and old bridge piers near Worthington. The Worthington Park has a great fishing location that is highlighted be an old mill dam that makes it the perfect spot to wade right in and catch some fish. The maintenance on the tail is an ongoing project. The Marion County side of the trail is paved. There is “burning bush” shrubs planted every kilometer on the trail. There are small pavilions, and flower planters that are maintained by volunteers. We have an Adopt- A- Trail program that allows various community groups and businesses to help in the upkeep of our trail system. We also have our maintenance staff that mow the grass, change out waste cans, and spot check the trails for repair needs. 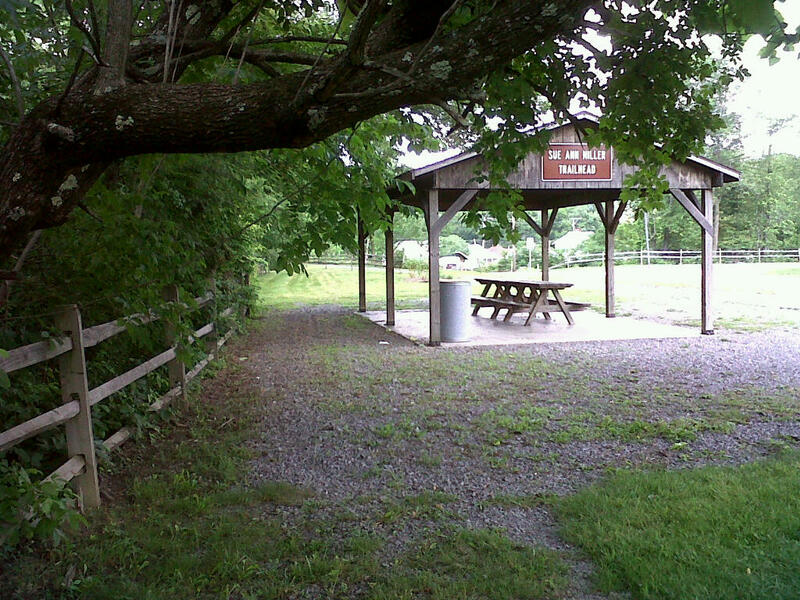 The trails have ample parking at each of the trailheads. We have made sure that there are ADA parking spots at each trailhead. We do our best to make our trails accessible by persons with disabilities. Both the website and brochures in our kiosk provide accessibility information. We want to serve as many people in our community as possible. We do have several rules at our trails. We require that bicyclists fifteen and under to wear helmets at all times, and they must pass on the left. We have pet waste stations set up so that all patrons can clean up after their pets, and they must keep their pets on a leash. We do not allow camping or the building of fires on the trail. Hunting and ATV riding is prohibited on the trail. We want to preserve the trail and the wildlife around it to the best of our abilities. The wildlife on our trail is one of the things that make it very special. There are plenty of deer that can be seen. It is not uncommon to see squirrels and chipmunks running around. It is a good place for bird watchers to find a bench and observe. We have pamphlets that are available in our kiosks that allow people to interact with plant life by helping them use leaves to identify trees. 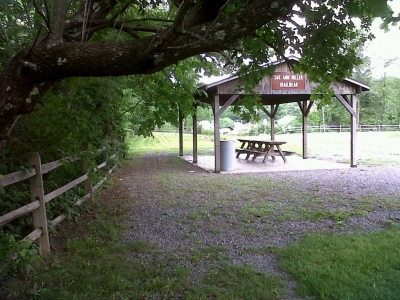 Sue Ann Miller Trail Head. Photo by Dan Talbott.